NB This makes me an IVP affiliate, so I receive a fee for referrals. If you buy a few books I might buy a takeaway and save on the washing up one night. Or do something more godly with the money – I shall have to think of a creative giving idea to go with the book. … [I] offer up [my] washing of the dishes to God as a sacrifice of praise, sharing his delight in creation and serving others in love. In The Everyday Gospel, Chester helps me to see that everyday activities, like washing the dishes, can be made holy because of the saving activity of Jesus. This extended meditation on a mundane task points me to remember that God orders chaos and that God serves his people. So when I turn a basket of crumpled clothes into a neatly ironed and folded pile, I am being like God by ordering the disordered and by serving my family by providing them with wearable shirts. Chester also points out that I can use these times of everyday activity to trace God’s handiwork – to contemplate how He has worked to create the pans in my sink, how he made my food, traces of which I am washing away. 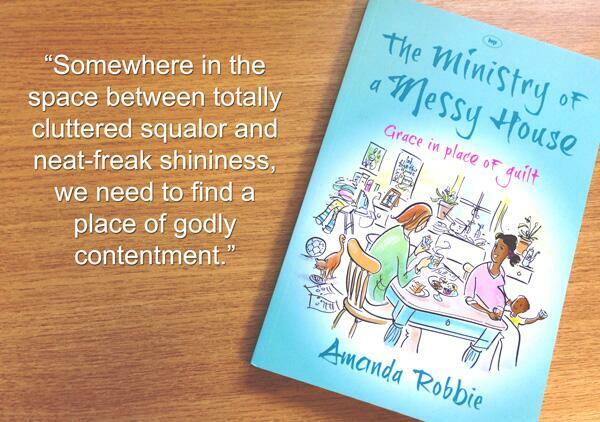 I can use washing up time to talk to my children, or visitors in my home – for pastoral care. These times are not the bits in between time for God. All of time, however inconsequential it seems, can be holy. A short and accessible read, this book would be brilliant for anyone who ever has to do anything boring. So I make that everyone. NB This review has also been posted on 10ofthose – they sent me a review copy. 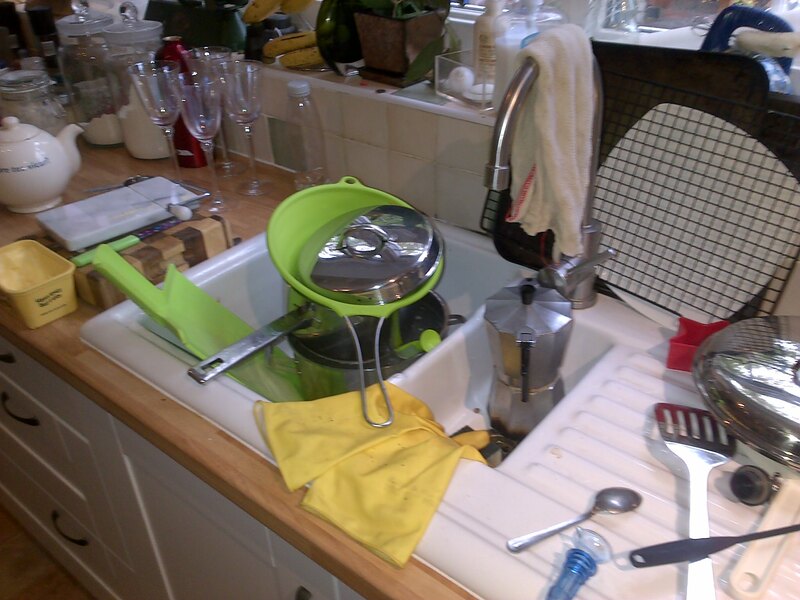 No illustrative pic of my kitchen sink over there though.